Enter in your mobile phone number or e-mail address and we will notify you when City Nav Turkey MicroSD is back in stock. City Navigator Turkey provides detailed road maps and points of interest for your Garmin device, so you can navigate turn by turn to the destination of your choice. This map is provided on microSD card (with SD sleve) so just plug it into your compatible Garmin GPS and you're ready to navigate the Turkey! 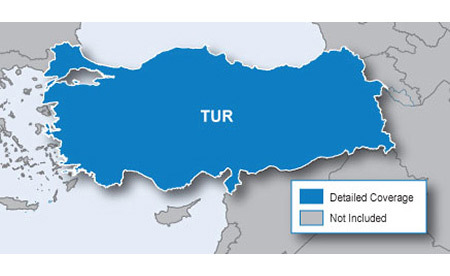 Includes map coverage for parts of Turkey, including detailed coverage in Ankara and Istanbul provinces.